Japanese whisky | What's Best Audio and Video Forum. The Best High End Audio Forum on the planet! Big fan of Nikka's 20-year old Yoichi. Have been given 4 bottles over the last 2 years. I agree the 17-yr Hibiki is nice, and i have not always had great impressions of the Suntory whisky, so that particular one was a nice surprise. If you want to delve into Japanese whisky, i definitely would suggest you try the 20-yr Yoichi. I've never had Japanese whiskey, but I love good whiskey. So where does it fall in terms of flavor, relative to Bourbon, Scotch and Irish whiskey? My two cents. So far, i have had about 5-6 Japanese whiskys...20yr Yoichi (again own 4 bottles, so quite familiar), the 17-yr Hibiki, a few of the Suntory 10-12 years and the Yoichi 10 year. Generally, i would say they tend to sit somewhere between an Islay and Highland...so call it closer to the Highland Park 12-18 year or Dalmores of the world, or alternatively you could think about it as a much, much less smoky/peaty Islay (think some of the more distilled-like younger Springbanks, a very mild Lagavulin or Ardberg). Does that make sense? This is a very accurate description, in my opinion. Nice stuff, Ack! The Hibicki 17 particularly for me. I have 3 bottles of Yoichi 20-year which my wife got us from her last visit to Japan. It ranks in my top 5-6 (out of well over 25 quality whiskys...most of which we own and enjoy) which i just posted on another thread. Here it is again below just for fun. My ranking. (Y) means i own them and know them well. Some notes though not good ones frankly. The rankings means that anything with a '0' is the top of the list and all those are ranked relatively equally, and the next category follows. Since there are 4 whiskys in the top category, the next category starts at 5. You get the basic idea. 0. Springbank 21-year (Y) smoky, sweet, smoooth, the ultimate of Springbank sweet imho...this is the recent global release of only 1500 bottles. i got 2 and am keeping one. locally, they have already doubled in price to the original release price in Jan. Nuts, frankly. 5. Springbank 18 (Y), smoky, smooth, for what i paid a stunning achievement, and its doubled in price in the last 3 yrs since selling out. 5. Ardberg Supernova '10 (Y), smoke!! !, but so tasty, so good you could drink the smoke for a looong time. 10. Lagavulin 16 (Y) great value, smoke and one of my fav whiskys. period. Beautiful stuff I bet; don't really cared for the Ardbeg Supernova myself, I find just about all of their products extreme; I still enjoy the Uigeadeil I have, but it takes a lot of willingness. I need to hit a Springbank soon I hope you get to taste the Hibiki. And put the Octomore 07.2 - I think it's 5yr old - on your list - 5yr??? Yes, try it if you like heavily peated, it may just blow your mind. I never drink alone, not a drop, so typically I like a scotch with some bite left to it. My favorite is still the Hibiki 17. Expensive but not bewilderingly so. I prefer it to the award winning Yammy and find H's own 21 to be more of a sit back and daydream kind of drink rather than a more animated social one. Nikkas I like during say Chinese tasting meals. They stand up well to strong flavors and are great with the kampai! yelling every few dishes. LOL! 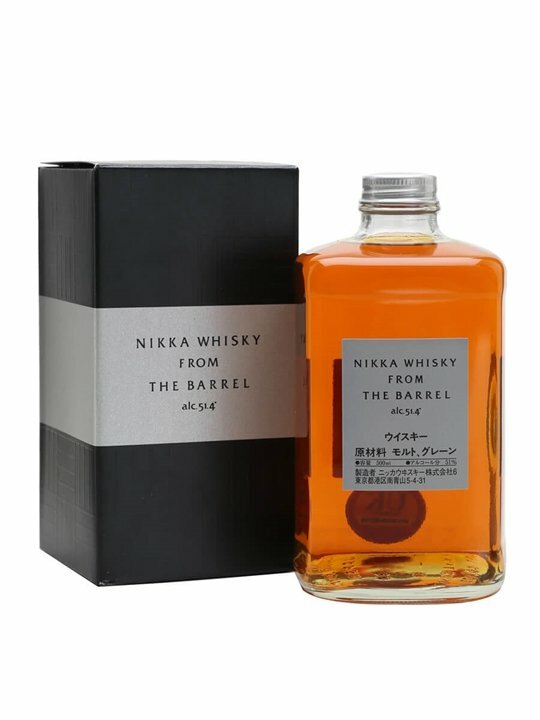 Just picked up the Nikka 'Super Nikka' which is a reintroduction of the original Super Nikka which the founder created in honor of his late wife and was apparently considered one of Nikka's all time great whiskys. It is stunning, and after the first, my wife went out and got 4 more to keep the larder full. We also got the limited edition Ardberg Dark Cove which sold out within 24 hours. It too is fantastic. If you can find them, try the Springbank Small Barrel releases from people like Cadenhead...in a small barrel they apparently mature faster so a well-executed 10 year old small-cask release can sometimes have the smoothness of a solid 18-year old. And they're generally much less expensive. Since Suntory started winning those awards getting a hold of the good stuff has gotten harder and harder. The demand is so high that they are leaving the "year" system now. AFAIK the Hibiki 12 is discontinued and is now the Harmony blend. I think this trend might continue and spread as the global appetite for scottish type whiskey continues to grow and grow at a pace more rapid than the distillers were prepared for. I have a secret little nook deep in Kansai airport that I will not share. LOL! I wish! I've only ever seen pictures of the really crazy stuff that must have ended up with either Sheiks or Crazy Billionaires. Anybody know why the distillery closed?